Quotation credited to: Commins, J.E. Beautiful Oakville. Oakville, On: A.S. Forster, Printer, 1897. Print. A jewel on the lake, the quaint town of Oakville is the perfect place for a morning stroll along the waterfront, a quiet afternoon at the park, or an evening spent at one of many art galleries, heritage museums or fine dining locations. 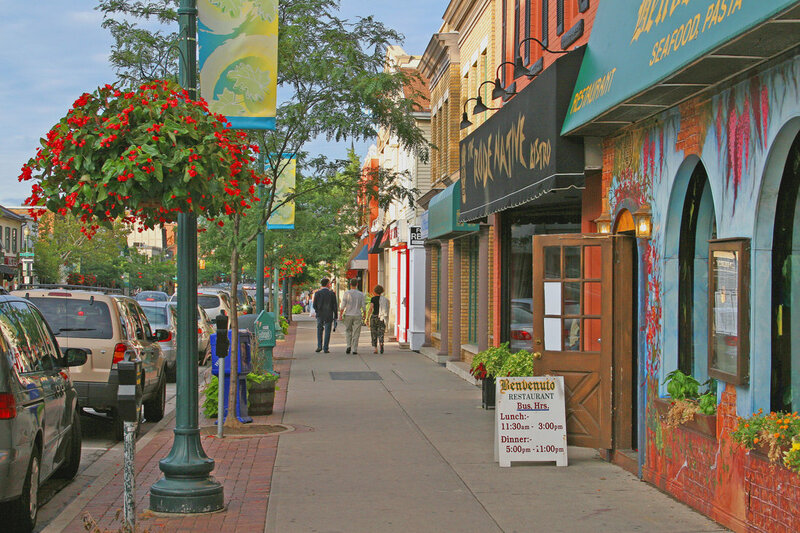 The picturesque and beautiful town of Oakville is the place to be whether you are in need of a refreshing cultural experience, or the excitement provided by the lively character of downtown Oakville’s irresistible charm. This exhibit offers a historical look at life in Oakville by recreating how the town may have appeared and functioned at the time of its incorporation in 1857, exploring Oakville life in the early 1900s, and catching a glimpse of the appearance of Oakville at the beginning of the 21st century. 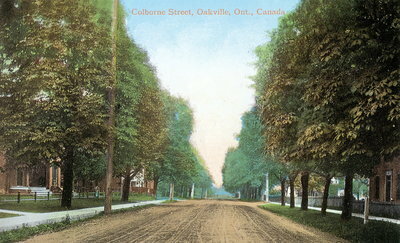 Historic photographs and paintings of town streetscapes, historic sites, businesses, storefronts and community celebrations provide the medium by which one is able to gain a sense of the culture and heritage which have surfaced throughout Oakville’s history, and become an integral part of the town’s identity. Often times, events of the past take center stage when attempting to understand, describe or define a person or place. However, the importance of taking into account the realities of present-day is often overlooked. It is worthwhile to consider how Oakville's history has shaped the town we know and enjoy today, and how this history is reflected in the architecture and atmosphere which have come to define Oakville as we now know it. As such, updated photographs of Oakville have been included in this exhibit to allow for comparison, and to bring to light the changes that have transpired over the years. These changes have transformed Oakville from a simple settlement, into a vibrant town offering a unique heritage and a diverse cultural experience; a town celebrated by its residents and admired by many a passerby who succumbs to the allure of the town's subtle air of refinement. The presentation of this exhibit was made possible by the contributions of many generous individuals who are credited throughout. Without their help, the images of Oakville would remain dispersed throughout the community, instead of being part of a collection capable of conveying stories, generating ideas and evoking emotions. Thank you for helping to tell the story of Oakville! Virtual exhibit created by Alida Iacobellis, Summer 2011. Oakville Images is a partnership of the Oakville Public Library, Oakville Historical Society, Oakville Museum at Erchless Estate, the Town of Oakville, HALINET,Appleby College, Bronte Historical Society, Trafalgar Township Historical Society and Private Collections.